Advanced manufacturing techniques and a careful survey of your property, ensure a perfect fit, while a wide range of opening styles and powerful multi-locking systems help you to stay comfortable, warm and secure. Each window is designed and manufactured to your requirements. Our wide knowledge and experience will help you to make the best choice, right down to the last detail. All buildings lose valuable heat through their windows, so to save on energy bills we all need to minimise the heat loss. The way to do this is to have double glazing in your windows. Most modern homes and commercial properties have double glazed windows, but older buildings do not, and could benefit markedly from having their single glazed windows replaced with energy efficient double-glazing. This is why Abbey Glass & Windows are in demand for installing double glazed windows in Wiltshire and the city of Bath. Professional and experienced, Abbey Glass fit double glazing in new builds and replacement double glazed windows in older buildings. In cases where windows cannot be replaced – for example in listed buildings and conservation properties – Abbey Glass can install secondary glazing behind the existing windows to improve energy efficiency. The company is meticulous about measuring to fit double glazed windows, because poorly fitted windows will not maximise the thermal properties of the double glazing. Abbey Glass can supply double glazing to fit any shape or size of window, and then install the windows in your home or commercial property expertly to ensure top results. Double glazed windows consist of two sheets of glass with a small gap between them, allowing for an insulating barrier that keeps warm air in. The glass used in modern double glazed windows is low-emissivity glass which has an invisible coating to reduce heat transfer and reflect heat back into the interior. 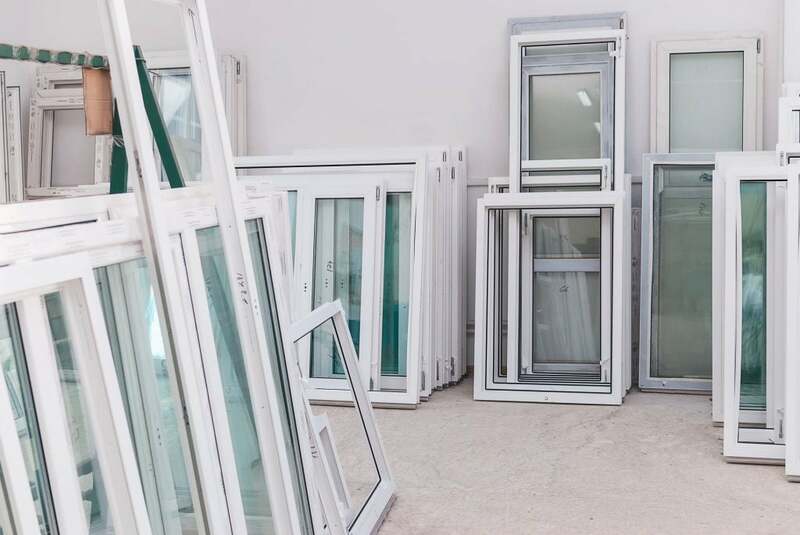 The double glazed windows are set into uPVC window frames, which come in a wide choice of finishes and colours (although plain white is the most popular), and provide for various ways of opening, latching and locking. uPVC is also a highly thermally efficient material, with the added advantage of being low maintenance and a strong and durable material. Aluminium frames are also available in a number of styles. New double glazed windows have numerous benefits besides cheaper heating bills and eliminating drafts. They keep noise out – ideal if you live on a busy road in Bath, for example – and drastically reduce the amount of condensation which can gather on the inside of windows that are only single glazed. Double glazing also enhances safety and security: the double panes of glass are damage resistant, and the powerful multi-locking systems on the windows provided by Abbey Glass keep you well protected. With more than 26 years’ experience as top class glaziers Abbey Glass have the know-how to help you choose from the various double glazing window systems and styles they have available, ensuring that the result is aesthetically pleasing, the fit perfect and your home or business property left comfortable, warm and secure. If you are considering installing new double glazed windows contact Abbey Glass for a quote. We have over 26 years of experience in glazing, call us today on 01249 651515 for a free quote on your glazing requirements or filling in our contact form.